Vicenta has seven children and feels proud that her weaving helps support her family’s economy and education. She heard about FINCA through a man in her village, and along with several people formed a village bank and joined the weaving community. She works hard to sell her products and says that giving her children the opportunity to go to school is one of her greatest achievements. 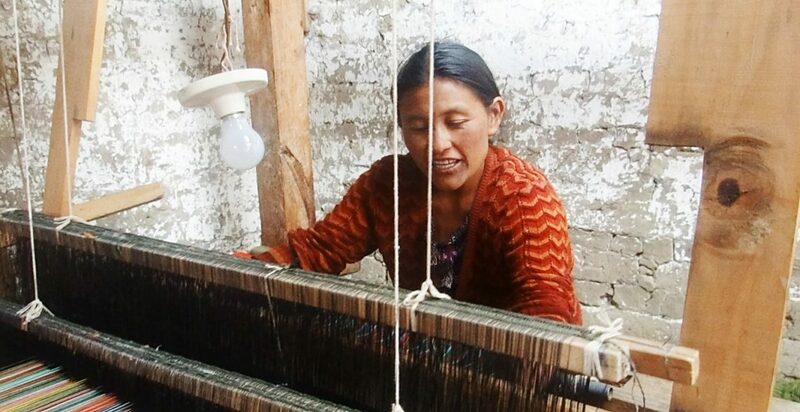 Now she is able to save money—something that she couldn’t think of when she started her business—and uses her FINCA loans to buy the materials for weaving. She hopes to send her children to college and own her own craft store in the future. Vicenta, along with other Gutemalan artisans, also FINCA clients, inspired designer Rebecca Minkoff and Jessica Alba, actress and founder of Honest Company, to create their own handbag collection, which features the hand-woven fabrics made by these remarkable women.